The S15 is on a boat! 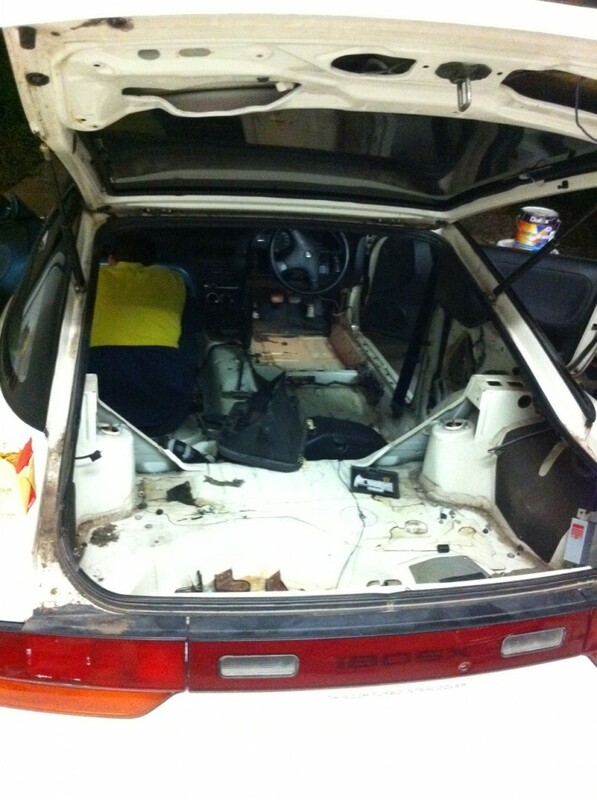 Now it’s time to get this Sil80 ready for BATTLE! 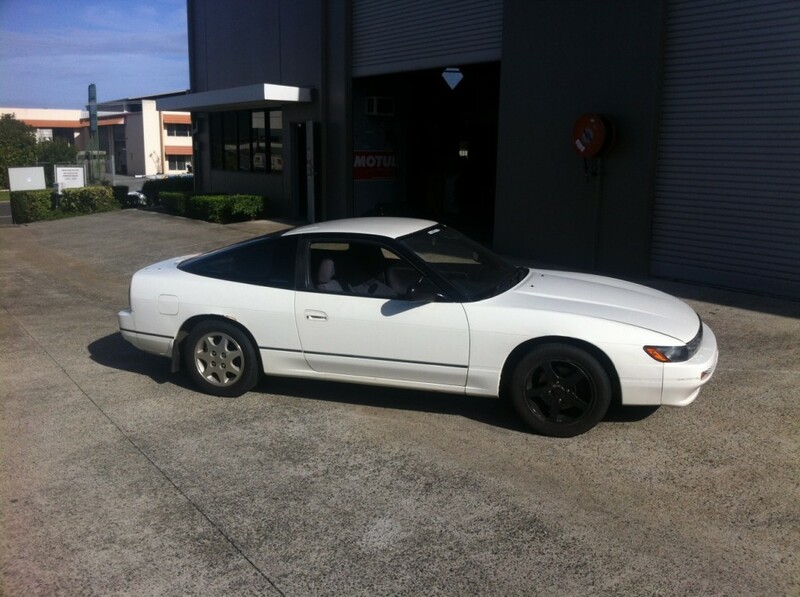 Home » The S15 is on a boat! 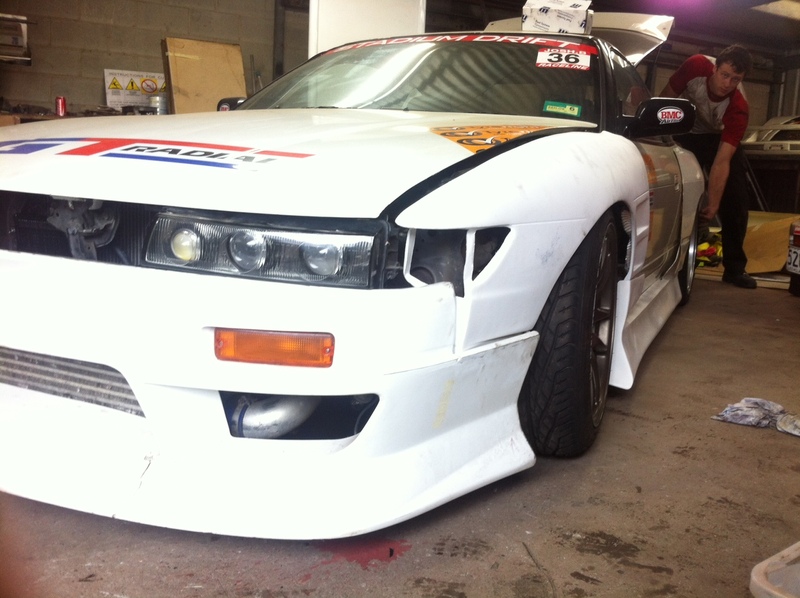 Now it’s time to get this Sil80 ready for BATTLE! 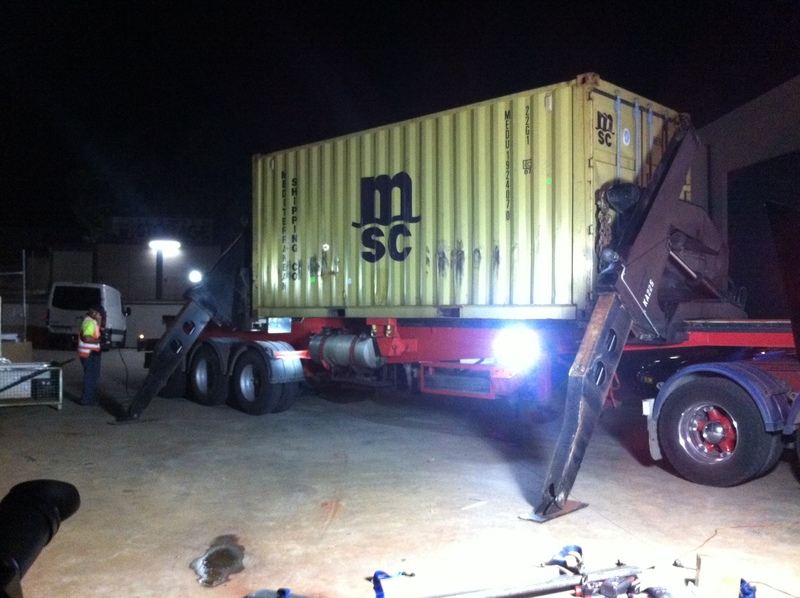 Last week, the GT Radial S15 left Australia and is now on it’s way to Malaysia for round 1 of the 2012 Formula Drift Asia series! This year we will be competing in all four rounds of the series and we’ll be taking the S15 to all of them! I am so excited to be able to have this opportunity thanks to GT Radial Tires! 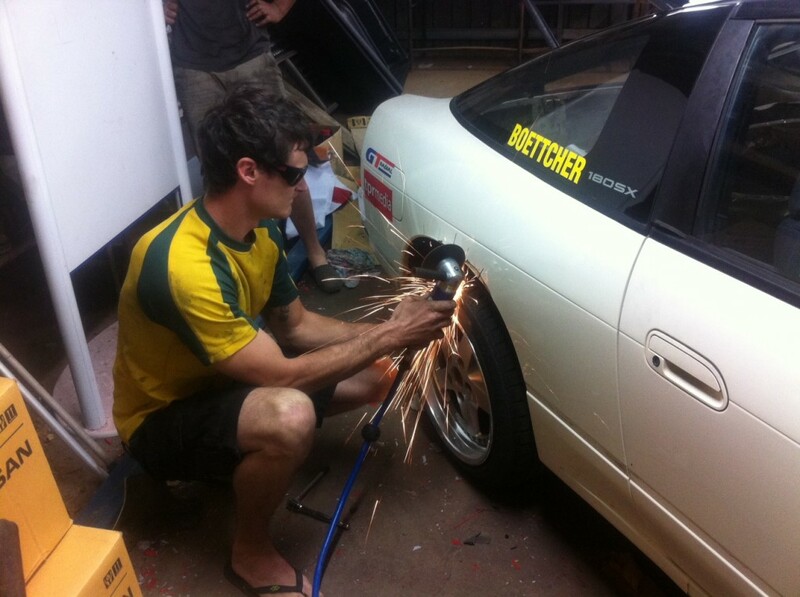 Since the S15 is going to be busy all throughout South East Asia for the majority of the year, we’re building a new car for the Repco Pro Drift Series and any other events we attend here in Australia. 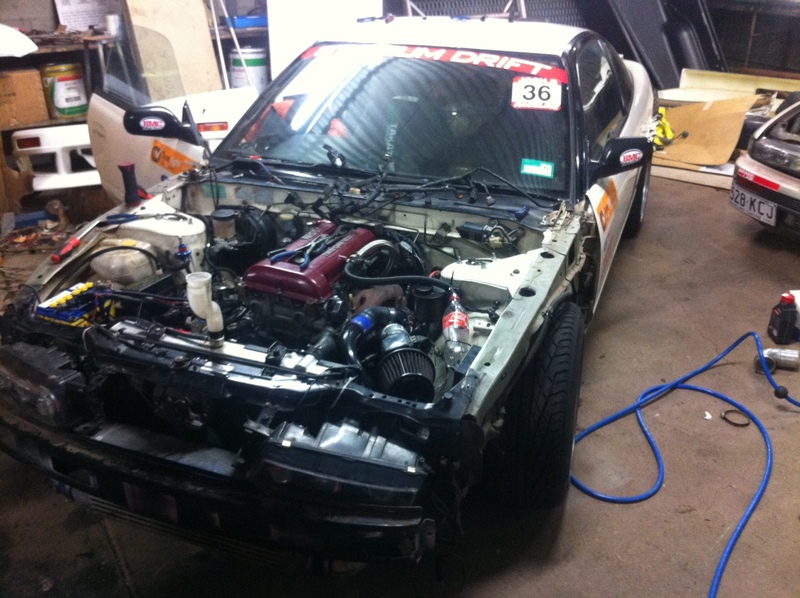 So we found this simple Nissan S13 Sil80 locally and quickly got it ready for Round 1 of the Repco Pro Drift Series. Since then we’ve pulled it right down to get ready for battle for the rest of the season! 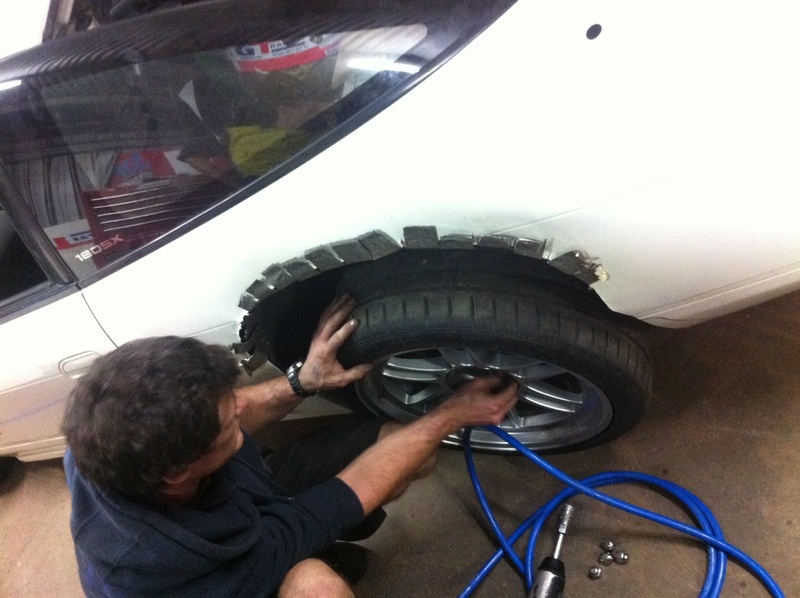 so we have room for the new Enkei RPF01s of course wrapped in GT Radial HPYs! We still have a lot of work to do, but we will have the Tyreright Sil80 ready for battle at Round 3 of the Repco series down at Wakefield Park on the 12th and 13th of May. 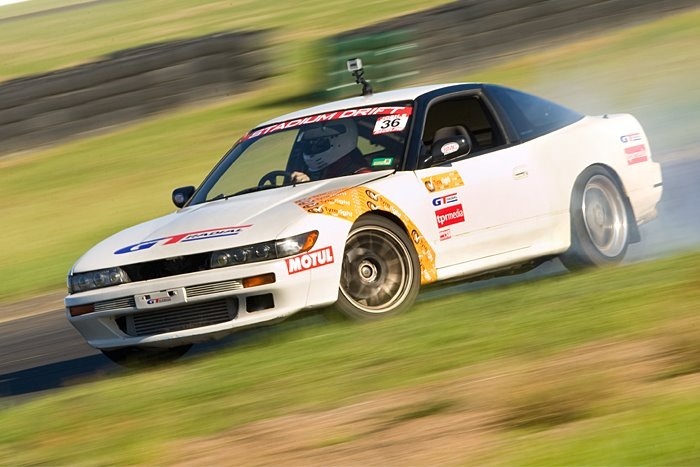 It may not be sporting the awesome Tyreright livery we have designed at this event, but as you can see by these pics, it will certainly be looking (and going) a lot more aggressive than last time we had it at the track! More on this very soon!